Inspect your Oregon lawn mower spindles before you mow. The spindle assembly parts are all needed to help spin the blades under the mower deck. If any of the parts are broken, like the spindle shaft or spindle housing, they need to be replaced. 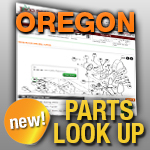 Match your model or part number below to get the spindles that fit your Oregon lawn mower.